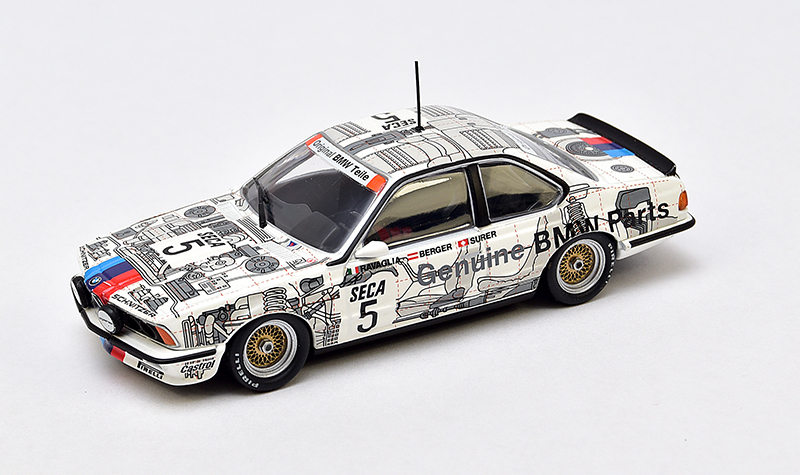 BMW began the trend to decorate race cars as rolling art. Hervé Poulain, who first lured prominent artists to BMW, inspired other artists to join the party. 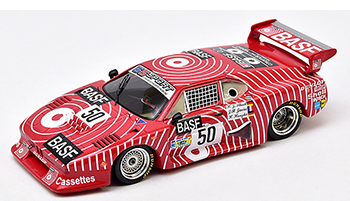 Poulain continued to race BMW, Porsche and Venturi GT cars, and art followed, mainly at LeMans. 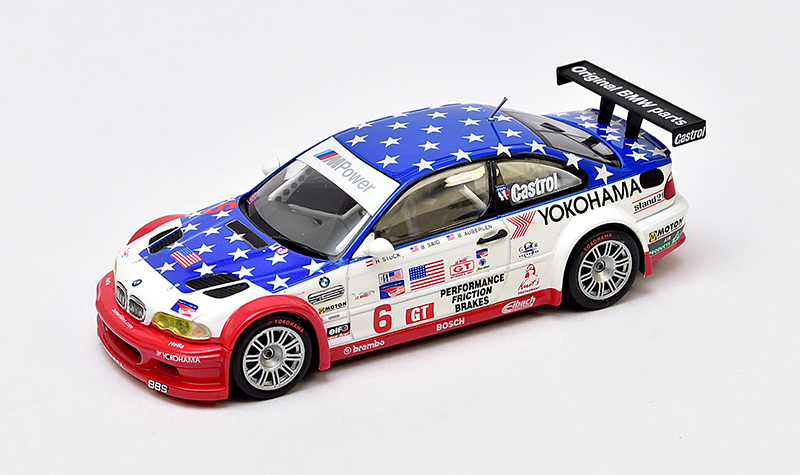 But teams running BMW cars picked up on this trend of art cars in other series’ also. 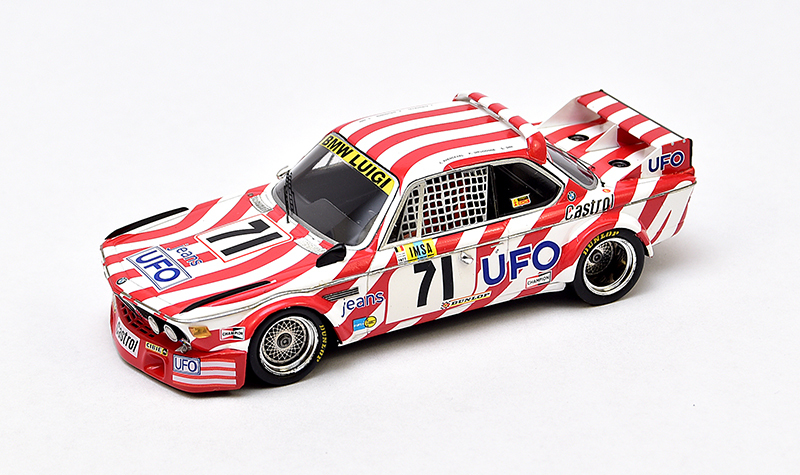 Our last installment on factory-blessed BMW art cars proved these model cars hard to find. Those cars run by independent teams are much easier to obtain. 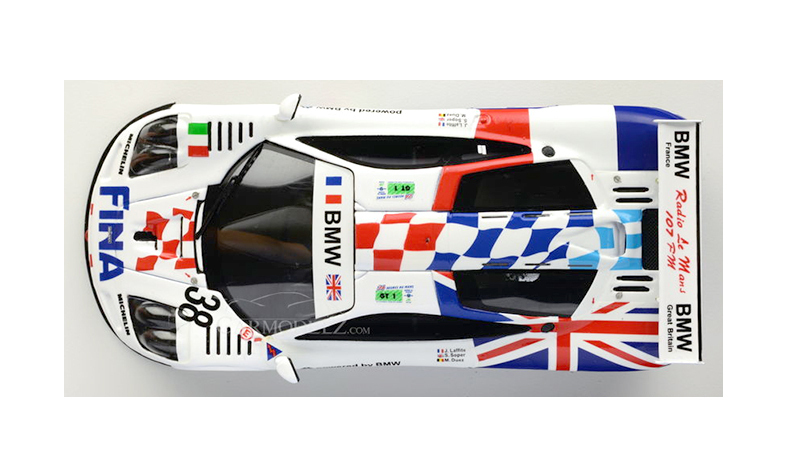 More BMW art car models in 1:43 scale are readily available; Minichamps, Spark, IXO and Truescale have all released art car models, amongst other smaller brands. Many of them have been released by more than one of these manufacturers, and kit makers have also indulged, notably Provence Moulage. The kits are mostly out of production and a little harder to come by, but not impossible. Tuiles TBF was a French company making clay roof tiles. They got heavily involved in auto racing as a promotional avenue, using racing cars as their canvas. TBF asked artists to incorporate tiles into their designs, but otherwise “go crazy”. That they did! One of the first cars they worked with was this McLaren-BMW GTR at left. You’ll notice roof tiles in the orange and yellow areas. The blue areas on the car depict sky and space, two things you might observe from your tiled rooftop. 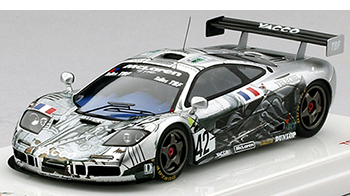 This car ran in the 1997 FIA GT series, campaigned by BBA Competition. 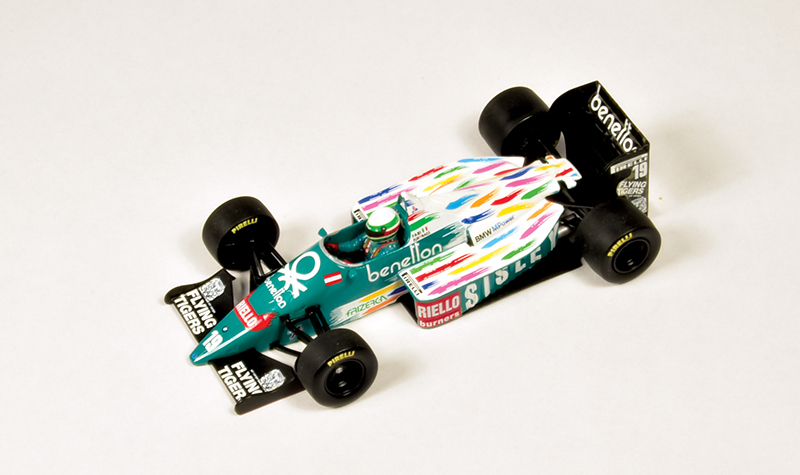 German chemical company BASF decided that art cars were a great idea, and sponsored several cars. Their concentric-ringed design became an overnight icon of the advertising industry. 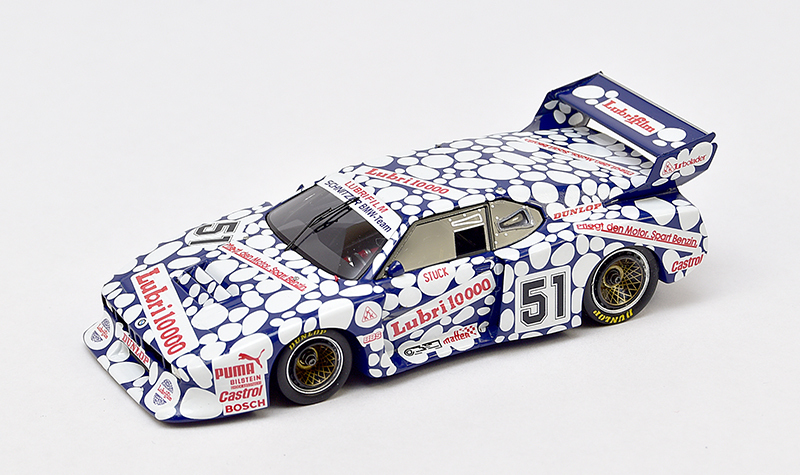 The design ran on a BMW M1 in the short-lived Procar F1 support series, driven by Hans Stuck. 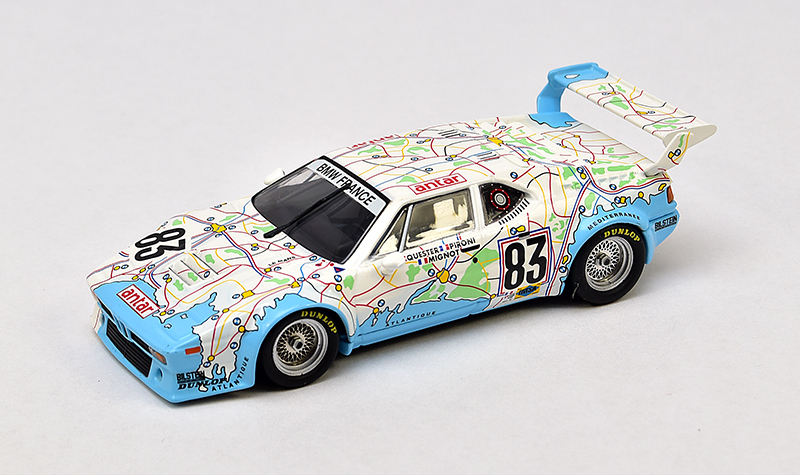 This same design was later seen on the BMW M1 Group 5 car at LeMans, right. 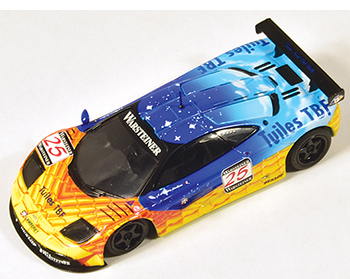 Subsequently, Sauber used the design on their LeMans prototype as well. 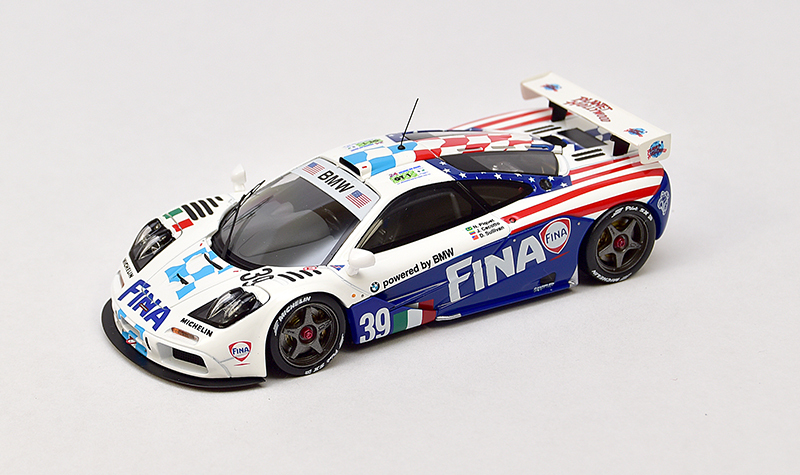 See who produced what: Spark, Minichamps, IXO, Truescale. 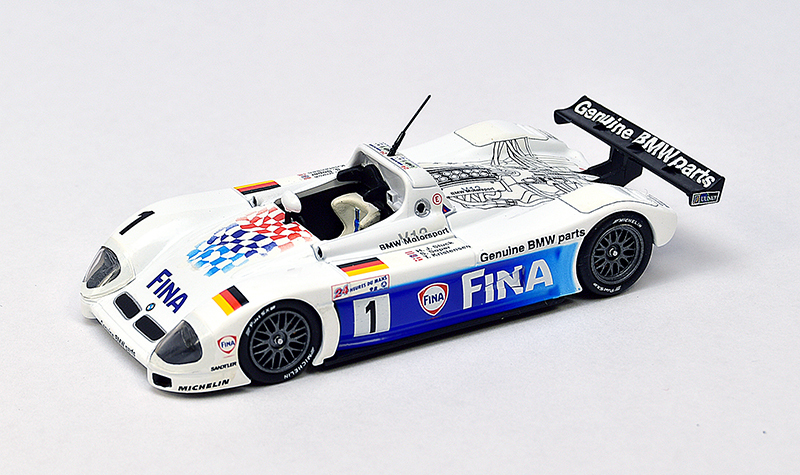 BMW Art Car models in 1:43 Part One here. 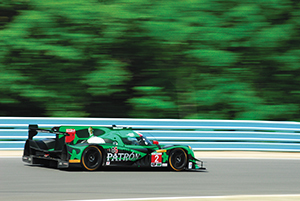 Read about Indy car models and more.